for the light-hearted, laid-back couple who loves planning the details but ultimately just wants to marry their best friend. Hi, I’m Ali! Ali LEE. ;) Wedding photographer of 7 years, educator for creative biz owners (gotta use that teaching degree! ), foster momma, one of Chick-fil-A's top ten fans, lefty, and wife to my middle school boyfriend. Welcome to my corner of the internet! 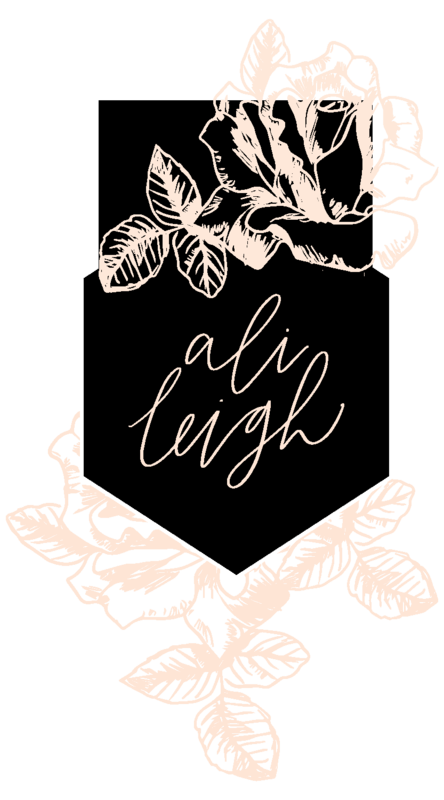 If I'm not available on your date or a bit out of budget, you can still get the Ali Leigh Experience by hiring one of my associate photographers! All of the contact and timeline planning goes through me, the associate photographer takes photos of your day, and all of the photos are edited with the Ali Leigh editing style. Ali is not only a great photographer but she is the most caring and genuine person! She made us feel as ease in front of the camera and all the photos were beyond any of our expectations! She truly takes the time to get to know her clients thus really capturing the essence of every couple. I have nothing but good things to say about her and her work! I’m sad our wedding is over since that means we won’t see her anymore! Ali Leigh and her associates work is FLAWLESS. She was easy and painless to book, great communication, quick turnarounds, and obviously the most beautiful photos and editing. We had her associate Taylor and we had SO MUCH fun with her. She got down to business with family photos (which is what you need) but made the rest of the day so fun! You're going to spend a lot more time with your photographer than you think so booking Ali and Taylor is a GREAT idea. Can't tell you how please we are with everything!!! Ali was the Bomb.com to work with! She was so organized, responsive and professional! I was never worried about her getting back to me, or feeling like I couldn’t get ahold of her. She was helpful thought the entire process and SO AMAZING on the day of. Our ceremony was outside (and it ended up raining) and our photos were still everything I could’ve dreamed of and MORE. She made me feel calm and not stressed all day. Not to mention she is so so talented! As a designer my photos were SO important to me, and she completely knocked it out of the park! If I could give Ali Leigh 10 stars I would!!!!!!! We had Taylor and Lexi work with us on the day of our wedding and I cannot tell you how amazing they were. They ran the show perfectly and took all the stress off of us! They were fun and honestly felt like they were just our friends that we invited to the wedding!! I would recommend them in a heartbeat! The pictures are truly amazing I have so many favorites I cannot decide which ones to frame!!!!! Hands down the best photographers out there! !